Let me pose you a question, and it’s not hypothetical. What do you do when you know there is a problem, everyone you talk to knows there’s a problem but they all have different solutions to it? The short answer, in the case of cyclist safety in London, was to create one central standard and ask everyone to adhere to it. 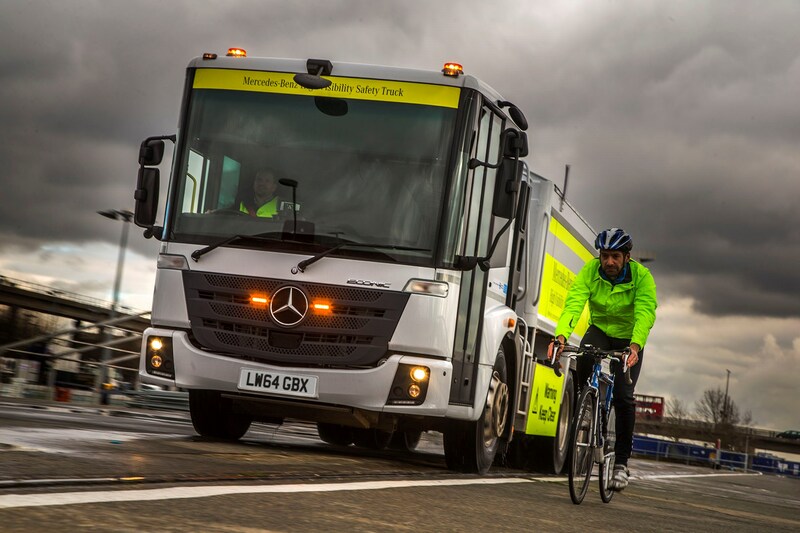 In essence, that’s the motivation around the Construction Logistics & Cyclist Safety (CLOCS) initiative which is gathering momentum, initially centred around the south east but more recently the ambitions of the team behind the scheme appear to be stretching further afield and, ultimately, nationwide. In 2011, Transport for London (TfL) became aware of a series of cycling fatalities involving construction trucks. This was the watershed moment that resulted in TfL commissioning the respected Transport Research Laboratory (TRL) to undertake further research. When TRL looked at the accident rate within the M25 boundary between 2008 and 2013, it found 55% of cyclist fatalities in London involved a heavy goods vehicle, but that nationally similar vehicles were involved in approximately 15% of cyclist and 10% of pedestrian fatalities. This was surprising enough, but further analysis revealed construction vehicles were found to be overrepresented in these figures. For instance, in London in 2011, seven of the nine HGVs involved in fatalities were construction related. The figures in later years did not show any change in pattern. In 2013, 14 cyclist deaths in London involved nine HGVs and today 100% of cyclist deaths in London in 2015 have involved HGVs. TRL not only looked at the accident rate but also cast its eye over the trucks and their bodywork resulting in various observations. One such observation was that a cement mixer had a 50% greater blind spot than a curtainsider. Little wonder construction vehicles were overly represented in the statistics. Blind spots on construction vehicles are larger than in general haulage vehicles. Road safety was not considered in the same way as health and safety on-site. There was little understanding of the impact of construction activity on road safety. And he further added a goal to reduce the number of people killed or seriously injured on London’s roads by 40% by 2020. Of course, knowing the problem and solving the problem are completely different challenges, but the scene was set for action and this took the form of a number of working groups being formed in July 2013 to take the evidence based research and implement practical solutions. The working parties brought together senior management from the construction industry as well as truck manufacturers, safety and security suppliers and various regulatory and enforcement bodies who all appeared to have some form of vested interest in this project. Within six months, their report ‘CLOCS Standard for Construction Logistics: Managing Work-related Road Risk’ (WRRR) was published, combining 11 different standards, codes of practice and policies as well as 16 different requirements bringing them into a single common standard. In response to the CLOCS report the construction logistics industry came together with the sole purpose of creating change to the management of work-related road risk and embedding a road safety culture across the industry. This manifested itself into three areas of focus, called ‘WorkStreams’. The research from TRL into blind spots and vehicle design helped CLOCS to challenge vehicle manufacturers and regulatory bodies to improve the design of construction vehicles. Improving vehicle safety has a major impact on the reduction of accidents involving vulnerable road users and safer new vehicles require maximum direct driver vision, reducing reliance on mirrors and retrofit safety technology. Blind spots occur due to a restriction of the driver’s direct field of view from the cab. But different makes and varying body types mean there’s no one solution and existing fleet trucks require a different approach to new ones. For existing fleets running trucks that still have a long urban operational lifespan ahead of them, upgrading or retrofitting equipment to improve the safety of their vehicles is essential. These include side guards, blind spot cameras and proximity sensors. A simpler and more viable longer term solution to enhanced vehicle safety potentially rests with the truck manufacturer. 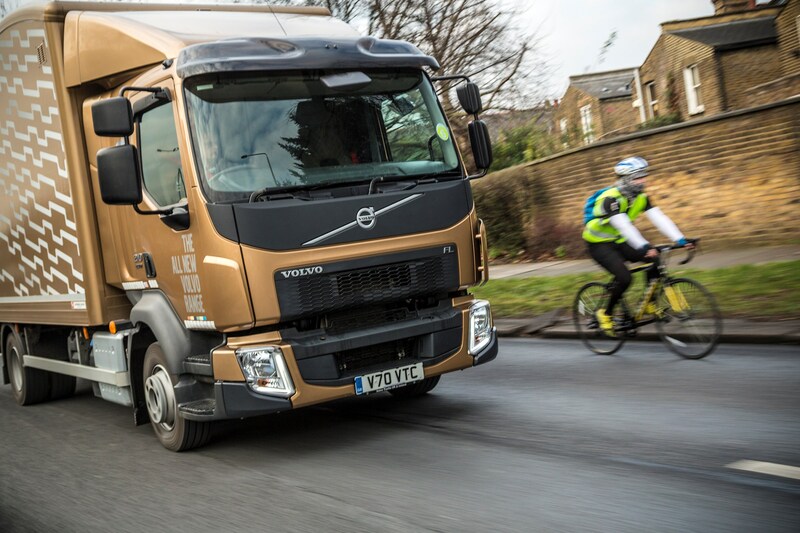 As John Comer product manager at Volvo Truck UK explains: “Since its inception, the CLOCS project to reduce injuries and deaths due to work-related road risk has helped raise awareness and change the mindset on the issues for all involved in transport and the safe use of our roads. Safer new vehicles are essential, with maximum direct driver vision, reduced reliance on mirrors and retrofitted safety technology. But that is not as simple as it sounds, especially post-European Whole Vehicle Type Approval, with each modification potentially requiring a new approval. The modern construction site has changed a lot over the past decade in terms of safety notices, fencing, coloured warning signs and on-site security. This change has resulted in fewer construction site accidents but the management of road safety is recognised as being separate from the management of health and safety on site. While recognising great strides have taken place in improving and embedding on-site health and safety cultures, it appears to go out of the window once the truck leaves the site. Why should this be? It is this imbalance that CLOCS wishes to address and change. So the first step is for the industry to monitor all incidents, accidents and near misses involving their vehicles and understand the circumstances around them. Obtaining data, of which very little has ever been gathered before, is crucial to understanding the dynamics and features of truck related accidents in urban environments. To this end, CLOCS has developed in conjunction with its industry members two key aids to help collate and ‘regularise’ the reporting structure helping to streamline the process of analysing relevant accidents and incidents. This system is free and open to anyone in the road transport industry to log collisions and near misses and help reduce work-related road risk. It achieves this by requesting key information about the incident which could quickly, concisely and effectively allow, if necessary, the sharing of the information throughout the industry via an in-built alert system. The CLOCS toolkit has been designed to manage the reporting of collisions and provides fleet operators with guidance on what to do following a collision, ranging from actions the driver should take at the scene through to investigating a collision and acting on lessons learned. At the scene collision report form for drivers. Manager’s collision reporting record and forms. Post-collision investigation form for managers. Workstream 3: Spreading the message. The key to any initiative such as CLOCS is volume. By definition a standard cannot become a standard unless it has credibility and ‘holds’ a major segment of the area in which it operates. CLOCS is looking to encourage wider adoption of best practice and not only in the construction industry but into the other major users of road transport for their goods. Secondly, keeping within the boundaries of the south east again is counterproductive. It’s fair to say this is understood by the team behind CLOCS. Developing and sharing effective practice is vital to keep organisations up-to-date about the latest standards and procedures currently being applied in their industry in relation to managing road safety. As expected for a project started within TfL’s jurisdiction, many of the initial “CLOCS Champions” are based in the South-East. At a recent meeting at the TipEx Show in Harrogate Glen Davies freight and fleet programme manager for TfL quoted “28 client champions, over 600 sites within the TfL area”. In total, there are currently 106 companies engaged in the standard, operating approximately 17,600 vehicles nationwide and these include many well known national names, such as LaFarage Tarmac, Cemex, Carillion, Travis Perkins and HSS Hire. They are involved because the companies want to save lives. They also realise that the granting of major construction projects and, as part of the tendering process compliance to CLOCS, will figure more and more in the contract. This also goes for all their subcontractors and this is perhaps the main avenue in which fleets, small and large, will come under the influence of CLOCS. FORS and CLOCS – what’s the difference? Perhaps one of the most confusing aspects of the CLOCS standard is its association with the more established Fleet Operators Recognition Scheme (FORS), which many of fleet managers will be familiar with. FORS compliance either goes a long way or completely satisfies, depending on which level you have attained. The WorkStream 1 vehicle safety aspects of CLOCS are in relation to the truck. As can be seen from all of the above, the truck is just one facet of the total goal of managing the potential risk to vulnerable road users and, therefore, FORS helps an operator comply with the vehicle issue on CLOCS standard. In fact, in a move to reduce unnecessary bureaucracy, the safety requirements in FORS have been aligned with CLOCS. Operators accredited or reapproved to FORS silver level, from October 13, 2014, will be fully compliant with the CLOCS Standard. Will it be coming to a city or region near you and therefore affect your fleet? The long-term answer is probably yes, particularly if you operate trucks in densely populated areas and definitely if you live in the eight designated “cycle cities”. It’s too early to determine what the level of accident reduction will be enjoyed by adopters, although fleets such as Lafrage Tarmac and Cemex are talking of very positive indicators. Perhaps the best pointers to success levels could come from early adopters of FORS such as FM Conway, who run a fleet of 890 vehicles and, according to Sharon Fields, head of corporate social responsibility, has seen a 32% reduction in incidents and, perhaps just as interesting, a 49.5% reduction in premiums.